Are you looking for an IT support company for your business in Miami? When you evaluate each service provider, it’s important to look for ones that can support your business with all of its technology needs. Consider what you need out of a long-term relationship with a Managed IT support company and how each prospective option fits into that. Here are the types of services that Ciegate provides for its customers as part of our Managed IT Services. Unexpected downtime is one of the most terrifying phrases to hear in the IT world. When systems suddenly go down, the entire company is impacted and the consequences can last a long time. Without business continuity in place, you can lose revenue from the immediate lost sales and hits to your reputation. Angry customers go online to complain and bad reviews can pile up. Worse yet, many people will simple click to the next competitor and never come back. You also end up with a lot of stress among employees, since they fall behind on their work when they don’t have access to the necessary solutions. If this occurs frequently enough, you could lose your best people. Proactive IT support minimizes the chances of unexpected downtime from happening. There are a few ways that the experienced technicians accomplish these goals. During the initial configuration of your network and systems, they can set everything up correctly to mitigate future problems and accommodate your long-term needs. They look at the big picture to predict what your infrastructure needs to continue servicing your organization. One area that businesses fall short in is planning for their growth. If you experience a sudden expansion, your IT systems have to scale gracefully. A proactive IT approach will make that happen for you. Holes in security, worn out hardware, incompatible software, and outdated systems are also addressed well before they could create a challenge. Frequent hardware and software updates also keep your company at the leading edge of innovation. Another area that proactive support addresses is training. It’s one thing to have a properly configured, modern solution in place, and another to actually have end users adopt it. They handle the training requirements for systems and software, as well as cyber security best practices. Companies deal with more data than ever before, and the amount is increasing exponentially as new sources get added. Keeping this information safe and appropriately protected is essential for everyone in the modern business world. Many organizations can’t function without reliable access to their data. 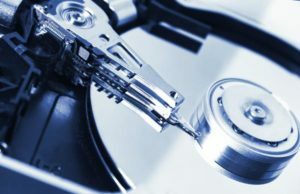 If you suffer from a data loss and don’t have a proper data backup and recovery plan, you have to deal with downtime, lost productivity, cash flow problems, lawsuits and possibly even a business collapse. Threats lurk around every corner. Natural disasters, equipment failure and cyber attack are the most common situations that lead to data loss. Employees may be forced to redo days, weeks or even months of work when a disaster recovery plan is lacking. Your business can’t afford to overlook preparing for these eventualities. For many companies, it’s a matter of when, not if, one of these happens. 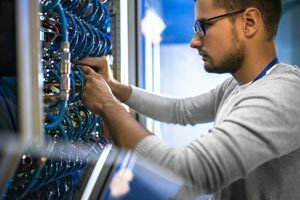 An IT support company can help you properly setup a backup and disaster recovery plan, as well as developing the procedures that you need for it to work properly. Every minute counts when you’re trying to get your systems back up, and clear processes will speed everything up. Cyber crime becomes more of a problem every year, and it’s expected to net hackers about $1.5 trillion worldwide this year. Many types of threats are facing your organization, from social engineering and phishing to ransomware. The changing infrastructure of many organizations also opens up opportunities for attackers. Think about how many Internet of Things and personal devices have been added to your network. While these electronics are useful, especially when it comes to gathering new types of data and improving business mobility, they also make everything a lot more complex. Many organizations have failed to adapt their network security measures to the current environment. They protect their perimeter with reactive measures, but don’t address common vulnerabilities proactively. It’s only a matter of time before they suffer a breach and potentially lose data. 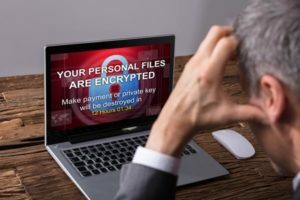 Malware can end up on your systems through a compromised smartphone, a known vulnerability in the operating system, a successful phishing attempt or even a physical security breach in your offices. A backup and recovery plan is the first step in limiting the losses that you could suffer from a cyber attack. Extended downtime can wreck havoc on your company, from making your reputation suffer to making it impossible for customers to order. Depending on the data that gets compromised, you could have expensive lawsuits on your hands. Dealing with these drains your resources during a time when they’re already being taxed. Some organizations have to declare bankruptcy or close completely due to the impact of the attack. An IT company offers several ways that they can help you manage your risk and reduce the chances of a business ending attack. It starts with having a proper network setup, plans and procedures in place to thwart cyber attacks. Many hackers are opportunistic and look for low-hanging fruit when they try to get into your systems. When you have a service provider helping you keep hardware and software up to date, your employees appropriately trained, and cyber security aware policies in place, you eliminate many attack surfaces. Revamping your current infrastructure and procedures for cyber security best practices requires many resources. When you partner with a quality IT support company, they offer the expert technicians that you need to get everything up to speed. These professionals have the right tools to monitor, detect, analyze, remediate and report threats to a company’s information systems. They also help with regulatory compliance, such as those needed with HIPAA, DFARS, FISMA, PCI and other government mandates. Cloud computing has transformed business infrastructure and the technology world ever since it was developed. 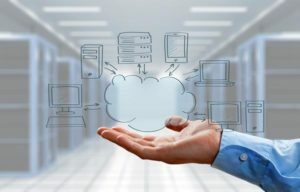 At the basic level, cloud computing uses remote servers hosted by a service provider for applications, platforms, infrastructure and other technology that was previously hosted through hardware on-site at the business. Companies connect to these resources over the Internet, rather than maintaining their own data centers. The cloud computing model has had a major business impact. Since dedicated service providers maintain the hardware and software necessary for the technology, they invest more in optimizing and updating their solutions. It’s not one component of the IT department for these companies. Instead, it’s the entire business model. Organizations have gained access to enterprise-level technology that was prohibitively expensive and inaccessible before. Since you aren’t responsible for many of the ongoing maintenance costs, you also free up IT resources. The solutions also receive seamless updates, which removes the frustration of lengthy deployments. When employees can access cloud resources anytime, anywhere, it helps improve productivity. They’re not tied to a workstation or dependent on one particular device. Business mobility is vastly improved, which is particularly important for roles that involve a lot of traveling. Support for remote workers and offices is also much easier. The modern workforce wants more flexibility in their schedules and where they work from. You have an easier time offering work from home opportunities and telecommuting days. During natural disasters, everyone can stay safe while still working. Collaboration is also easier with cloud computing. Everyone uses the same version of the software and it’s standardized across all departments. You reduce the chances that multi-department teams can’t work together because they all use different applications. Many cloud services have collaboration features built-in, or they integrate with solutions that do. One of the biggest advantages of the cloud is increased security measures. Since the cloud provider has to focus on offering secure access to their services, they often invest in IT security measures that far exceed what their clients have available. Everything from data encryption to physical server security gets considered at the cloud provider. When you look into cloud computing services, you’ll find a virtually endless selection in every software category. Dropbox is known for its file storage, Microsoft has many cloud-based services such as Office 365, and Amazon is the king of cloud-based development and content delivery networks. An IT support company can setup and manage your cloud environment to ensure that you have the right services for your needs. They make sure that everything is working properly, that the service providers are following the terms of the contracts, that you have business continuity in place and that all of the necessary security measures are followed. IT support companies should also provide plenty of help with the basics. Routine IT tasks can pile up on your in-house staff’s plates, which takes their attention away from big projects or strategic decision making. Your network design and the installation process are critical for your operations. When you work with an IT company that understands your needs and goals, they can create the perfect system that meets these requirements. They also ensure that the solution is scalable and reliable. An improper network design can quickly lead to productivity and customer experience problems throughout the entire organization. Getting it right the first time is the key to avoiding costly, business disrupting changes. Are you running into problems with procuring components for your IT systems? Get assistance with choosing the right hardware and operating systems from those currently available on the market. The IT support company works with you to develop a priority list of features needed for any new solutions. They check on your capability and resource needs to support the applications that you want to use. Business phones are another critical area that sometimes gets overlooked. VoIP stands for Voice over IP, which is a type of phone system that transmits calls over your network rather than through traditional phone lines. You need a reliable way to stay in communication with everyone, from employees to customers. Business phone systems that use landlines can be prohibitively expensive and lack many advanced features. A VoIP system has fewer hardware costs and uses your existing network infrastructure. An IT support company in Miami can ensure that your network can support this type of phone system, evaluate VoIP providers, assist with the deployment and provide ongoing support and maintenance. Another essential part of communication is your commercial email. You can’t afford for critical emails to fall through the cracks, whether they’re internal or external. Many email solutions are available for your organization. Google Suite and Office 365 are frequently used, but many other providers are available. Finding the right one to handle your email volume is a necessity for a modern business. A server is a piece of hardware that acts as a centralized storage location and application host on your network. Servers have many uses in an organization. You can use one as a development and test platform for custom applications and another to handle your emails. Servers can host your website and store all of the databases that your company uses on a regular basis. Properly configuring and maintaining servers is a mission-critical task. When you don’t have the on-site resources to manage this, an IT support company in Miami is a must-have resource. Another area that you might not think about is network and computer cabling. When this job is done correctly and cleanly, everything is properly labeled and well-organized. If cable management is thrown together at the last minute, it’s impossible to tell which cables go to which pieces of equipment, and they could even represent a workplace hazard. A clean installation is just as important as proper network configuration. Many factors go into determining whether an IT support company is the right one for you. Make sure to keep this guide on-hand when you start looking into your options and ask plenty of questions. A quality service provider will be happy to explain how they add value, and the ways that they empower your company to do more with your IT resources.